Ready Player One, the new Spielberg film. Yawn. So Ready Player One, the New Seven Spielberg film, is a formulaic, painfully predictable pastiche of the genuinely cinematic. So what? What should we expect from the latest Hollywood blockbuster? For what it’s worth, the story revolves around a Steve Jobs type tech wizard and his creation of the Oasis. This is the virtual reality video game world where everyone in the universe, that is to say in America, escapes to in the year 2045. By then, we will have so thoroughly trashed the actual world that life will only be bearable in the virtual one accessible through our ubiquitous screens. Before his death, this latter day Willy Wonka announces that he has hidden three keys within the world of the game, and whomsoever retrieves them shall be bequeathed his entire fortune and, more importantly, the world of Oasis. And so our teenage orphan-hero teams up with a motley crew of juvenile waifs and strays in a race to retrieve the three keys before the evil rival corporation gets their hands on them first. And, much more importantly, to win the love and respect of the inventor father figure, who continues to live on in the world of the game. It’s not hard to see what they were trying to do here. 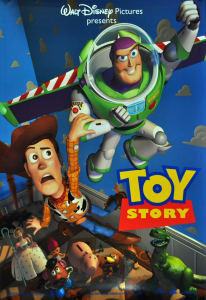 A few decades ago, Hollywood film makers looked at the way merchandising was threatening the world of film making, and they chose to address it head on by making Toy Story, one of the best trio of films that Hollywood has ever produced. And so, watching today as all of those dollars disappear into the abyss that is the gaming world, they’ve tried to make a Hollywood film about, and addressed to, gamers. Bizarrely though, they’ve drowned it all in a sea of cultural references from the 70s and 80s. Not one or two sly nods to Back to The Future and Atari. It’s a never-ending barrage of increasingly tedious and, worse, poorly chosen references. So they’ve produced a film aimed at the under 30s which will only appeal to the 40s, and, much more likely, the 50s, 60s, and overs. There’s one especially cringe-inducing scene in a virtual club that’s the cinematic equivalent of seeing your uncle trying to breakdance to Bon Jovi at your cousin’s wedding. 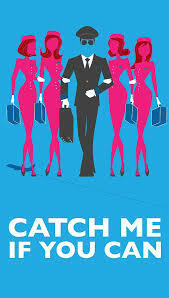 The fact that this is the new Spielberg film shouldn’t, I suppose, surprise us. After all, it’s a long, long time since he made Jaws and Raiders of the Lost Ark in 1975 and ’81. His only film of note in the last 30 years or so was Catch Me If You Can and the first hour and a half of Minority Report, both in 2002. 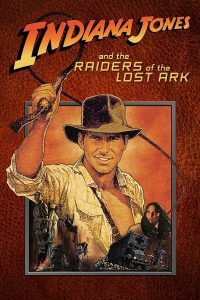 And let’s not even mention the execrable Indiana Jones and the Kingdom of the Crystal Skull. No, what’s so disappointing about Ready Player One is its look and feel. 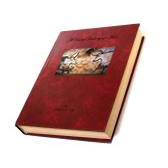 It’s so thin and flimsy, so undifferentiated and inconsequential, so cheap looking and just so, well, digital. A digital screen can be wonderfully engaging in the privacy of your own space. But up on the vast expanse of the silver screen it gets lost, and is reduced to being horribly flat and lifeless. Very unwisely, Spielberg references Stanley Kubrick (reviewed earlier here), his cinematic hero and father figure, in one of the key scenes. But all this does is to remind us of why it is that real film makers go to such trouble to source actual locations, proper period furniture, tactile costumes and physical trinkets. 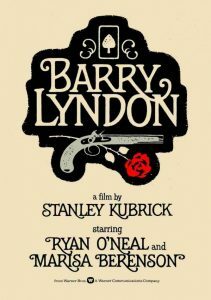 So with a film like Barry Lyndon, and not withstanding its many, many flaws, it still has a magnificent physicality and a tangible solidity to it, because of the manual process through which the images were put together. In contrast, when you know that the edge of the cliff that your hero might be about to drive over is merely made up of pixels, you couldn’t care less. But much more to the point, and most obviously of all, who wants to watch a video game you’re not allowed to actually play? Imagine peering over someone’s shoulder, and being told you have to stand there and watch as they spend two and half hours playing a game that you’re never going to get a turn on. Who the hell was the Hollywood genius who agreed to green light that idea? 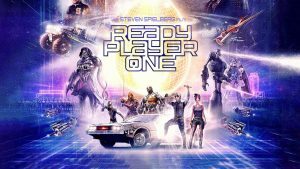 You can see the trailer for Ready Player One here. Sign up for a subscription right of below, and I shall keep you posted every month, on All the very Best and Worst in Film, Television and Music!